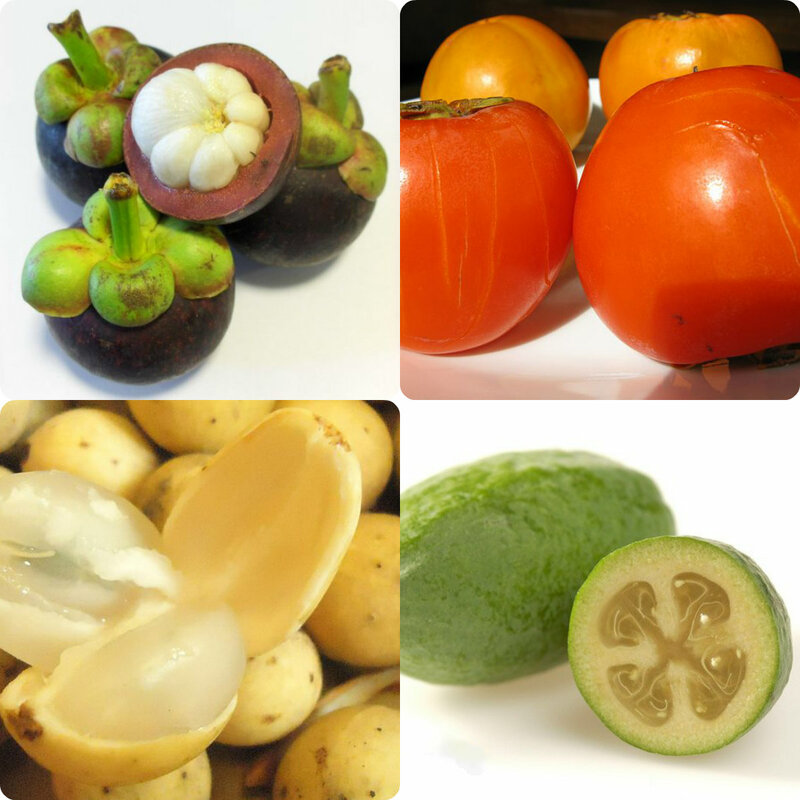 Haiku: Dreaming Of Exotic Fruits: I was reading a post about Filipino food on lolakojane’s blog. She mentioned Ube and that word sent me down memory lane… I was back in my father’s village, eating exotic fruit on languid days; Ube (bush butterfruit), Udala (African White Star Apple), Icheku oyibo (Tamarind), Icacina, guava and many more. The word Ube means something different for lolakojane (purple yam, while mine is a fruit), but the colors are same – purple. So that purple fruit, top left, sent me on a journey back in time to exotic fruit land. 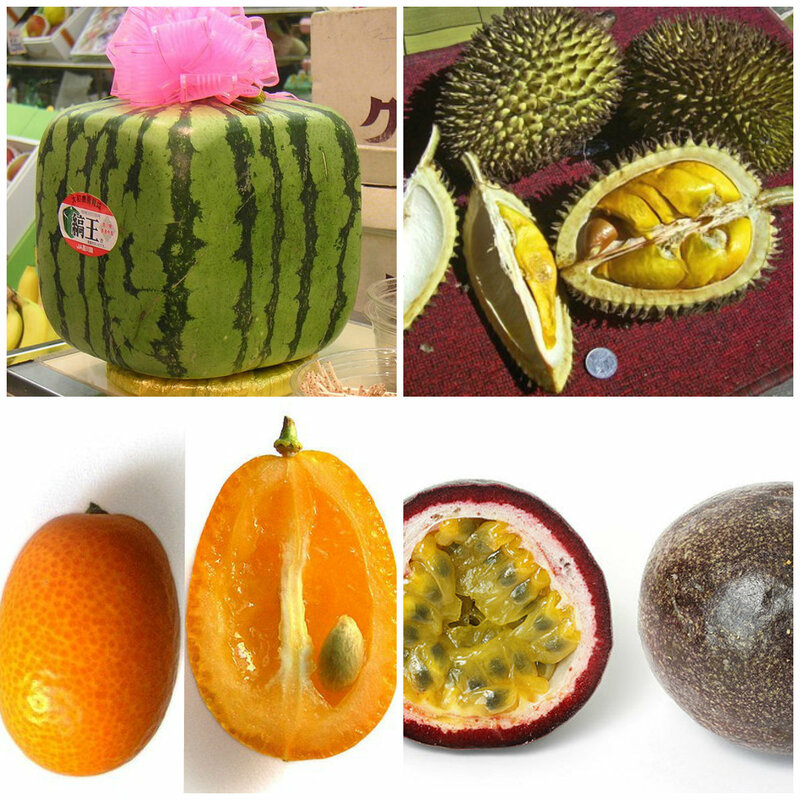 Haiku: Dreaming Of Exotic Fruits… Collage of Squared Watermelon, Durian, Kumquat, and Passionfruit. As I gathered my photos and links, I was again reminded how magnificent nature’s bounty is. The range of fruit and flora we enjoy is amazing, and barely a thank you to Mother Nature… The Haiku are all connected in a fruitful, fruit filled dream state conversation; who is speaking, observing, listening? The Self? 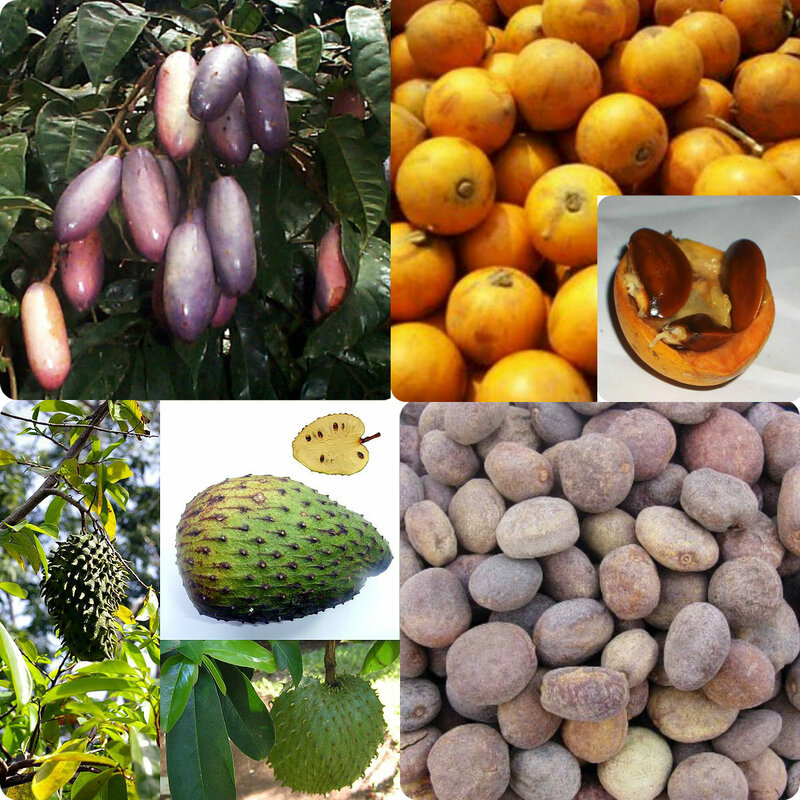 Some of these fruits I’ve enjoyed and some I have not… I am no longer in my father’s village but the memories linger. So while there is time, wherever we are, we must sit awhile and have some new, exotic fruit. Yes? What have you not had from the list of fruits mentioned? What’s stopping you? And a sweet Kiwano fruit. This haiku is a celebration of exotic fruits from around the world; some unusual and some a bit more familiar… They meet me in a dream. They are quite solicitous. We chat, we joke, we speculate… all in a dream, all on a dare. 😉 Do you have memories of fruit that isn’t so available to you now? 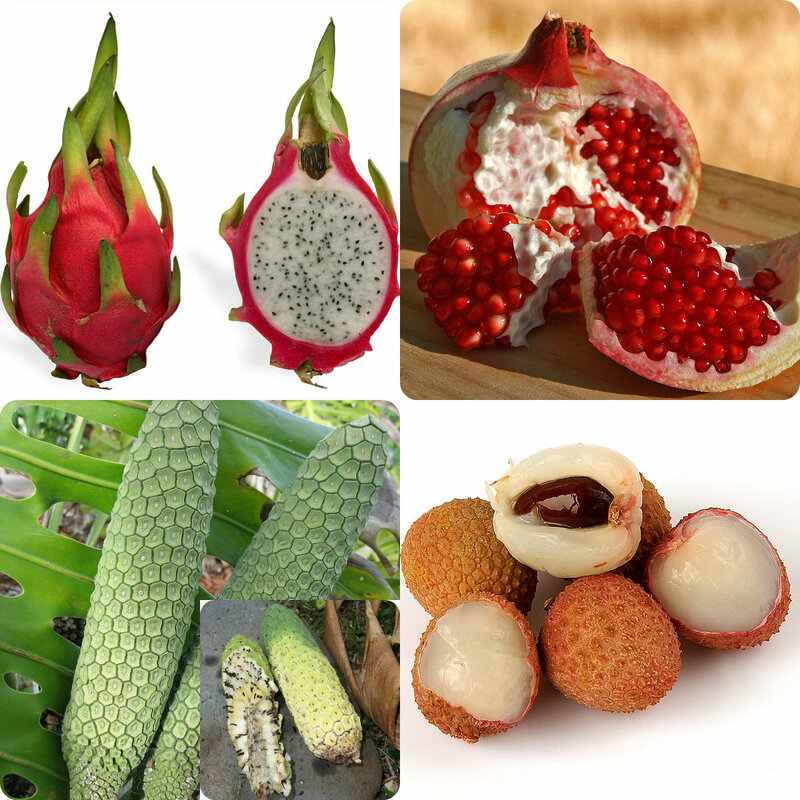 Share your favorite exotic, uncommon fruit with me. More below! As I put this together, I am acutely aware that dreams are meaningless until we build them in concrete ways. May all our efforts bear fruit… What are your thoughts? Do you dream of childhood foods and fruits? Are there any you haven’t had in ages? 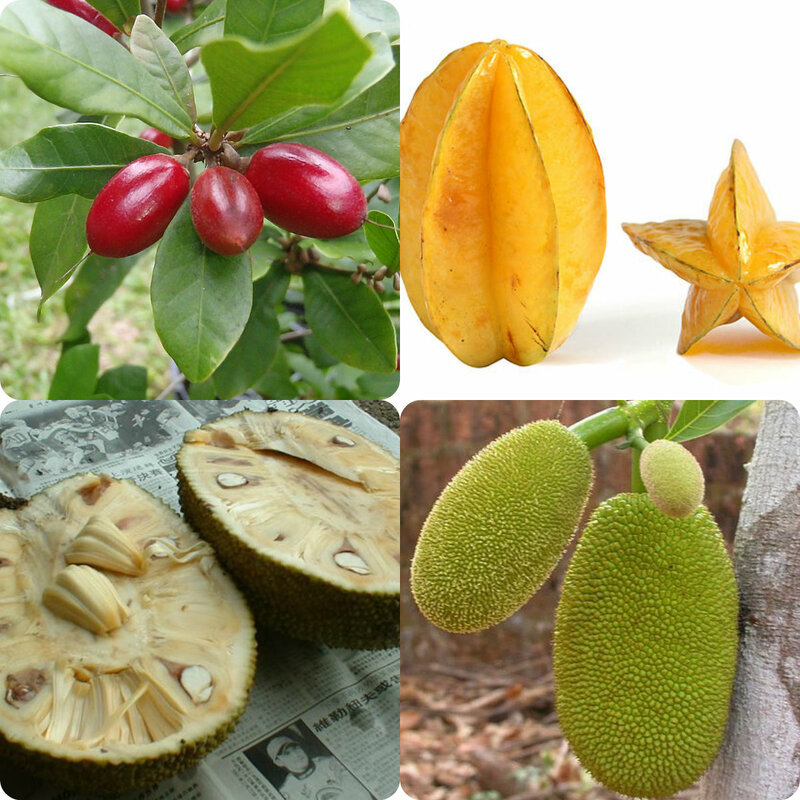 Which of the fruits listed have you eaten? What fruits would you like me to try/add to the haiku? Do share! Thank you. *Please bear with me as I catch up on your blogs and commenting… I’m back on track with reading and responding to your blogs; albeit at a slow pace. Thank you all for your patience! Positive Motivation Tip: Taste the fruits of your youth in haiku… In short, think bliss! I once tried Durian when in Bali. Very strange sweet taste but what a ghastly smell. Thanks for this. Don’t really know what a haiku is – have t do some Googling research. I’ve never seen most of these before or even heard of them – fascinating – thanks. No worries – i always read your posts – rarely comment but enjoy them immensely! The watermelon is very unique for me. I usually eat a round one but never tried it. Clever haikus! I haven’t heard of half of these. The guavas made me nostalgic for PNG. Great dream you had there Eliz, lol, looks like what is exotic to you is common to me… Most of the fruits are very common here in our country. Not all are uncommon to me but they do fall under that exotic fruit umbrella because they are not readily available to all. Good for you to have tasted all of these fruits. 🙂 I’ve had most but not all… Also there were fruits I’ve eaten that I didn’t add because I couldn’t find their names… TY! 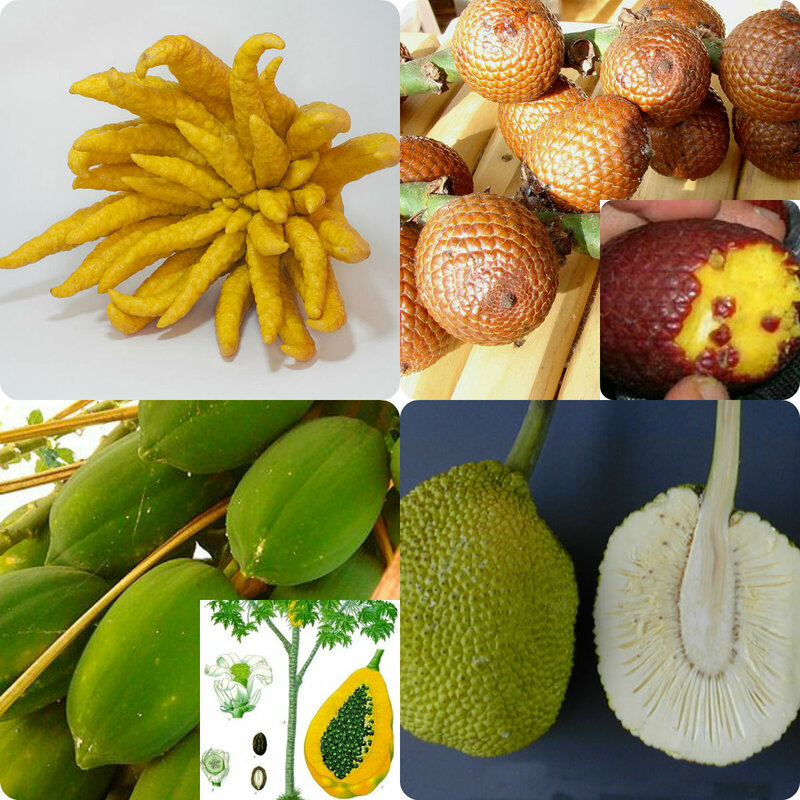 I’ve had so many exotic fruits for me since I moved to China. Persimmon are one of my favorites now and I’ve had snake skin fruit, loquats, durian, ube and many others. How lucky we are to have new fruit to try! Lucky for you! Unless I go to Chinatown in NY, my choices are limited to the run of the mill selections. 😉 TY! Cherimoya? Good for you… I also had my share of exotic fruits as a child and I can still taste some in my mind’s eye. 😉 TY! Really? All the time? You might need netting to stop them. 🙂 TY! No only in season – summer fruits. I think the pomengranates open too soon, probably too much water (we have a borehole and I use the sprinkler – I am a lazy person) but on the other hand it is nice to see the birds visit. 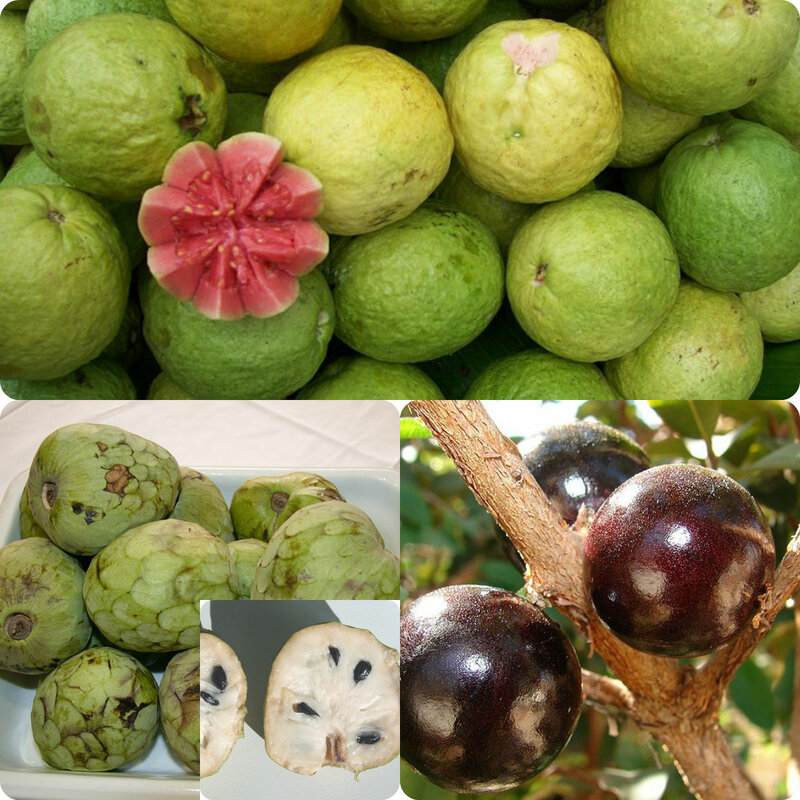 Loveeeee those fruits like rambutan, jackfruit, cashew fruit (love the nut most), guava and star apple (Cherimoya), Atis (akee). Thumbs up to exotic taste . Thumbs up to you beautiful haiku. Thumps up for sure. ;-)TY! Thank you for the collage and haikus, Elizabeth. Many of my memories from childhood are eating the varied and abundance of fruits in the Philippines. I miss these fruits and look forward to eating these immediately upon my visits back home. Here in the U.S. (and while living in Germany) my favorite fruit is the cherry…such a short season, so we have to make a point to enjoy! Your photo collection made me miss the fruits from my childhood even more, and I will appreciate these all that much more, the next time I am in the Philippines. Well do share when you find them… 😆 TY! Love your post. I grew up in Brazil, on a big house with lots of fruit trees and I remember eating many of those. Now I’m in the US, where most of the tropical fruits, when avaiable do not taste the same, as it had to be picked very unripe and travel long distances. So everytime I go back, fruis are in my wanted list of foods to eat while I’m there. What a wonderful post. The haiku are so fun. 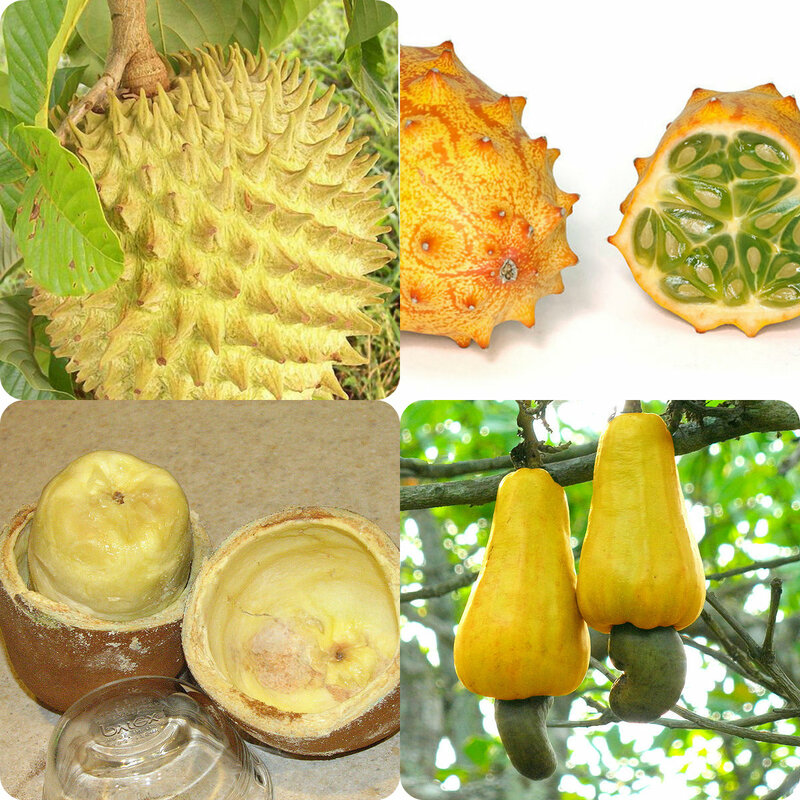 I am familiar with most of the fruit you mention and am able to grow several of them. Thanks. Fantastic! Where are you? That is great to have full access to the range. 🙂 TY! I enjoyed the first collage but then you gave and gave! Awesome. I don’t know many of these fruits at all. Why? because in the UK we are too far from where these wonderful thing grow. Some get imported but they don’t know how to store them correctly – often they are kept too cold. Even mango, my favourite fruit, its hard to get really good ones and they are ridiculously expensive. The very first one – Ube, reminds me of a fruit in Nigeria that I know as pia/ peer/piya, any idea what I mean? Ah you need to travel dear Elizabeth. This post has me salivating all over my keyboard! Kumquats and pomegranates: joys introduced to me by aunts and uncles returning from exotic farmers’ markets and fall festivals! What a wonderful memory… That is what i love about food, many memories are usually upbeat. 😉 TY! Very nice.. Mouthwateringly good! Great effort, beautiful. Awesome! All those photos remind of my childhood and all the yummy fruit I am missing now. Same here… I sure could have a feast with a few. 🙂 TY! Wow, you are a clever cookie (but of course I should say lemon or orange or something). Fab post! So, so lovely. 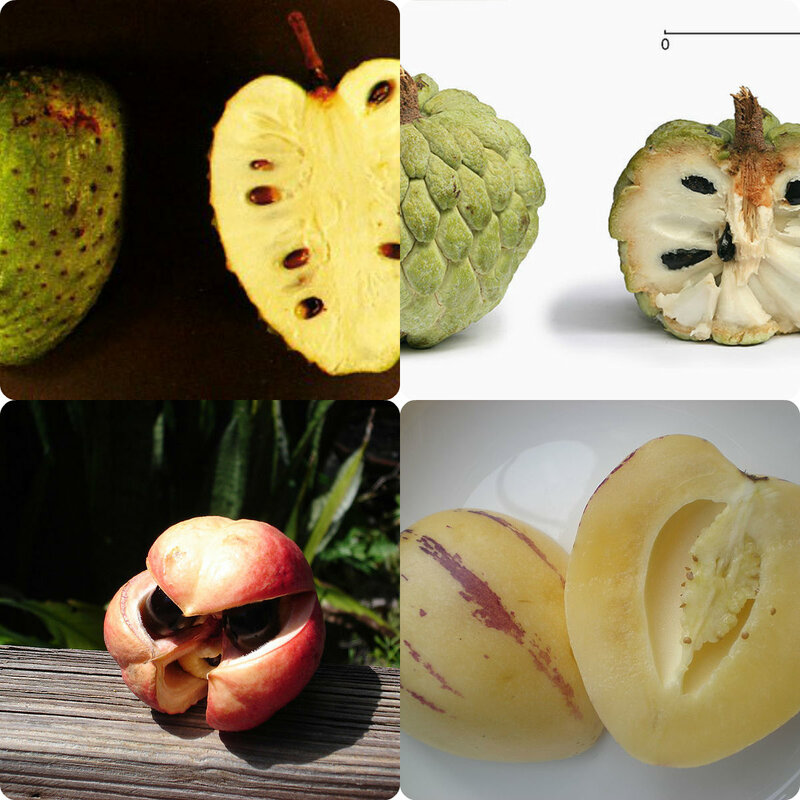 We have quite a few of these fruits in Jamaica – we have a soursop and a sweetsop tree in our yard, plus of course mangoes and avocado. And we have papaya (“pawpaw”), guava, pomegranate and jack fruit (which you can smell from a mile away, I am not very fond of it!) SO well put together!! *sigh* I am hungry for exotic fruits now. Same here Sunshine… but bananas and oranges will have to do. 😆 TY! You made my mouth water with all these lovely fruits. I miss having them available here in California. But when I go to visit in Manils, I do get my fill. 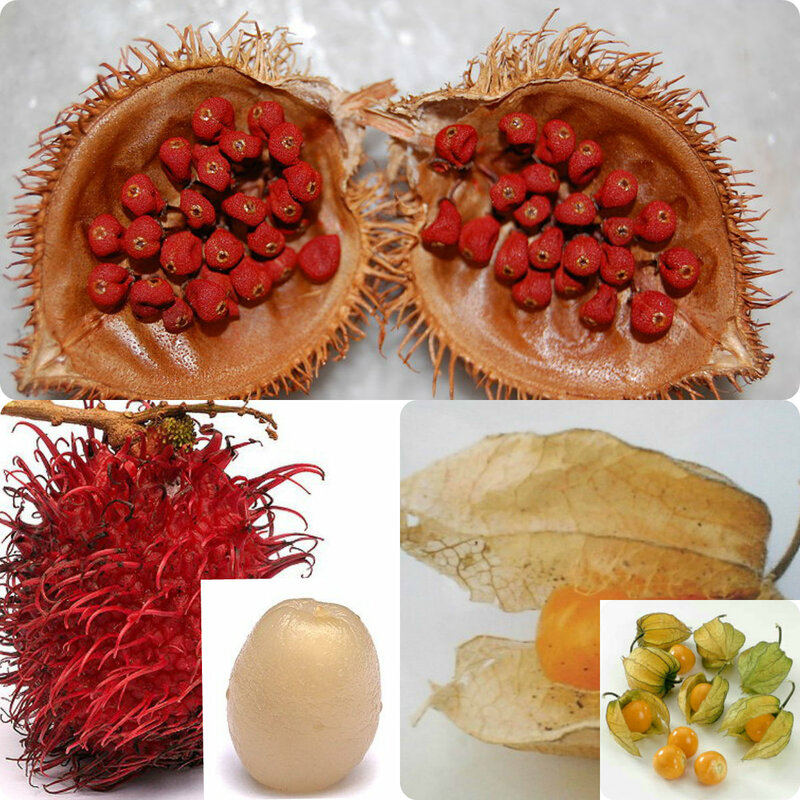 Love mangosteen, star fruit, buyabano, rambutan, lychee, atis, jackfruit, to name a few. Ube for us is a purple yam but we eat it in many ways— candied, in ube cake, ube ice cream, iced ube, ube jam in bread, in ensaymada, etc. I can smell all of them! Sorry, I don’t really care for durian. Nice, nice… at least you can fill up in Manila! I would love to have a fruit feast sometime… 🙂 TY! fun to wake up to exotic fruits and haikus. great post, Judith. Also, I’m so glad someone (Judith) asked about the word “Haiku”…been meaning to do that!…Very good…and as you can see I enjoyed it! Well. This post was simply delicious. What a wonderful, colorful post, Elizabeth. I’m always dreaming of durians! Oh really? I hope you can find some where you are… In Japan right? TY! 🙂 Do keep us posted n when your book comes to the US. Very clever set of haiku and collection of exotic fruit photos!